Jimmy is a treasure of knowledge who assesses every proposition fairly from the perspectives of faith and reason. I recommend this for anyone who wants to know more about the mystery that we intuit is lurking everywhere in the world. Beyond the world we can see is a mysterious world. Easter is a holy day for billions of people where we celebrate the Resurrection of Jesus. But is belief in the resurrection just a matter of faith or is there evidence for it? 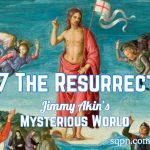 Jimmy Akin and Dom Bettinelli examine the theories for what happened that first Easter. The post The Resurrection of Jesus appeared first on SQPN.com. A mysterious ranch in southeast Utah, where numerous unexplained weird phenomena have occurred that has scientist study them. 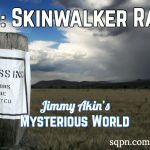 Jimmy Akin and Dom Bettinelli discuss Skinwalker Ranch, the incredible stories of bizarre events and what their source could be. The post The Mystery of Skinwalker Ranch appeared first on SQPN.com. Of all the Dead Sea Scrolls, one stands out because it's made of copper and contains directions for finding a huge secret cache of treasure. 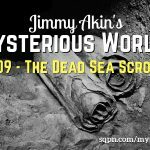 Jimmy Akin and Dom Bettinelli talk about the origins of the scroll, what it says, and Jimmy's own unique theory for why it exists. The post MYS035: The Dead Sea Scrolls Treasure Map (The Copper Scroll) appeared first on SQPN.com. In 1977, a British science program provided claims of shocking government conspiracies, a secret space program, a hidden colony on Mars. 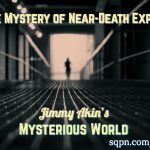 Jimmy Akin and Dom Bettinelli discuss this decades-old mystery and its astonishing revelations. The post MYS034: Secret Space Program Alternative 003 appeared first on SQPN.com. 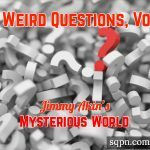 We do four episodes of Mysterious World per month, but when there's a fifth Friday, with the permission of Catholic Answers, we'll bring you "Weird Questions" editions of Catholic Answers Live where Jimmy Akin gives shorters answers to all kinds of questions. This is Volume 1. The post MYS033: Weird Questions, Volume 1 appeared first on SQPN.com. The Russian woodpecker was a mysterious radio signal that began in 1976, originating in the Soviet Union and heard around the world. Jimmy Akin and Dom Bettinelli discuss its purpose, its connection to Chernobyl, and why it suddenly stopped. The post MYS032: The Mystery of the Russian Woodpecker appeared first on SQPN.com. 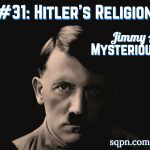 MYS031: What Was Adolph Hitler’s Religion? Adolf Hitler may have been the most sinister figure of the 20th century. His ideology of war and racism led to millions of deaths. Jimmy Akin and Dom Bettinelli examine what Hitler's views on religion were, including many claims about them, and whether his views played a role in his actions. The post MYS031: What Was Adolph Hitler’s Religion? appeared first on SQPN.com. On a March night in 1997, thousands of people saw a strange formation of lights over Arizona. 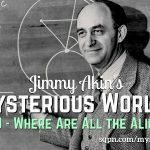 Jimmy Akin and Dom Bettinelli discuss the theories, claims, and counter-claims to sort out what happened and perhaps to find a plausible explanation. 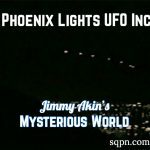 The post MYS030: The Phoenix Lights UFO Incident appeared first on SQPN.com. Time travel is a staple of science fiction, but it is really possible? 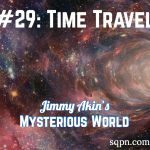 Jimmy Akin and Dom Bettinelli discuss the mystery of time travel, the theories, the objections, and what the Catholic faith has to say about it (and it does!). The post MYS029: The Mystery of Time Travel appeared first on SQPN.com. Thirty-three centuries ago, Egypt was ruled by a strange, heretic pharaoh who upended Egyptian society. 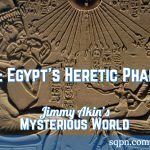 Jimmy Akin and Dom Bettinelli discuss the mysteries surrounding the pharoah some call the first monotheist in history, Akhenaten. The post MYS028: The Mystery of Egypt’s Heretic Pharaoh appeared first on SQPN.com. Some people claimed to have died and come back to life and reported strange experiences of life after death. Jimmy Akin and Dom Bettinelli look at the claims, the scientific evidence, and the implications for faith of these near-death experiences. The post MYS027: The Mystery of Near-Death Experiences appeared first on SQPN.com. After more than than 40 years, the disappearance of Jimmy Hoffa stills has a hold on the popular imagination. Jimmy Akin and Dom Bettinelli examine the mystery of the disappearance of this former Teamster boss and the purported confession of the man who claimed responsiblity. 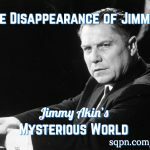 The post MYS026: The Disappearance of Jimmy Hoffa appeared first on SQPN.com. Do parallel universes exists and if they do what implications do they have for us, for God, and for the problem of evil? 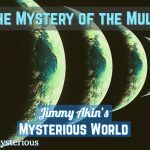 Jimmy Akin and Dom Bettinelli tackle this mystery and discuss some unusual theories about the multiverse. The post MYS025: The Mystery of the Multiverse appeared first on SQPN.com. One of the most frquently requested topics has been the mystery of Dyatlov Pass. Jimmy Akin and Dom Bettinelli discuss what happened on the cold Siberian night in 1959 when 10 highly experienced Russian hikers died under mysterious circumstances. 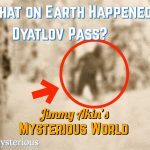 The post MYS024: What on Earth Happened at Dyatlov Pass? appeared first on SQPN.com. Humans have always looked up and wondered what effect the stars have on our lives. 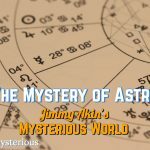 Jimmy Akin and Dom Bettinelli look at astrology and the claims that influences our lives and provides glimpses of the future and what Christians have believed about it historically. The post MYS023: The Mystery of Astrology appeared first on SQPN.com. In 1989, Bob Lazar claimed he was employed at Area 51 to reverse-engineer UFO engines. 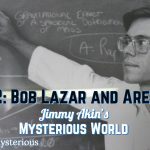 Jimmy Akin and Dom Bettinelli discuss Lazar's claims, including a new documentary in which Lazar says the government is still trying to silence him. The post MYS022: Bob Lazar and Area 51 appeared first on SQPN.com. What's so mysterious about weight loss? Given the American obession with dieting even as we're more obese than ever, evidently plenty. 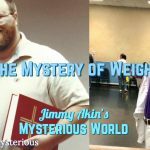 Jimmy Akin shares his own story and the science behind the way our bodies are designed to lose weight, rather than the way we've been doing it. The post MYS021: The Mystery of Weight Loss appeared first on SQPN.com. 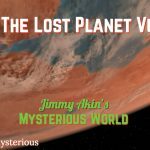 Did you know about the lost planet Vulcan? Not Mr. Spock's planet nor the explanet around the star 40 Eridani, but one right here in our solar system. Jimmy Akin and Dom Bettinelli discuss the claims that such a planet exists between Mercury and the Sun and the evidence for and against. The post MYS020: The Lost Planet Vulcan appeared first on SQPN.com. 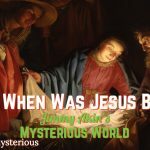 MYS019: When Was Jesus Born? Christmas is December 25, but was that the actual date Jesus was born? Some claim evidence from the Bible and temple rituals. Other say evidence from the Bible show it isn't or that it was just a co-opting of a pagan festival. Does it even matter? Jimmy Akin and Dom Bettinelli look at the claims and counter-claims about what we can and can't prove about when Jesus was born. The post MYS019: When Was Jesus Born? appeared first on SQPN.com. Who was the mysterious doctor in 1960s who dosed celebrities and even a president with his outlandish concoctions? 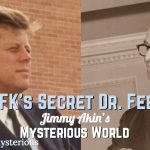 Jimmy Akin and Dom Bettinelli explore the story of Max Jacobson, Dr. Feelgood, and how he affected the JFK presidency. The post MYS018: JFK’s Secret “Dr. Feelgood” appeared first on SQPN.com. MYS017: Are We In a Simulation? Does It Matter? Some serious people think we could be part of gigantic Matrix-style computer simulations. Jimmy Akin and Dom Bettinelli discuss whether it's philosophically or scientifically possible and, if it were true, would it matter to us on a practical or theological level? The post MYS017: Are We In a Simulation? Does It Matter? appeared first on SQPN.com. In the first century, Jesus’ most famous prophecy—other than his own death and resurrection—was that the Jewish temple in Jerusalem would be destroyed. And it was. But was the prophecy fulfilled? 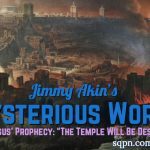 Jimmy Akin and Dom Bettinelli discuss the claims and counter-claims about the destruction of the Jerusalem Temple. The post MYS016: Jesus’ Prophecy: “The Temple Will Be Destroyed!” appeared first on SQPN.com. Was there more than one gunman? Didn't two different government commissions come to different conclusions? What do we really know about the JFK assassination? 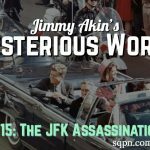 Jimmy Akin and Dom Bettinelli take a high-level look at the JFK assassination, the mysteries and conspiracy theories, and the evidence to conclude either that Oswald acted alone or there were others involved. The post MYS015: Was the JFK Assassination a Conspiracy? appeared first on SQPN.com. The nation of Israel originally had 12 tribes, but at a certain point 10 were taken into captivity and became "lost." Jimmy Akin and Dom Bettinelli explore the claims and counterclaims about what happened to them, then look at the evidence from both Jewish and Christian traditions as well as historical records and DNA evidence. The post MYS014: The Mysterious Lost Tribes of Israel appeared first on SQPN.com. Separating fact from science fiction, Jimmy Akin and Dom Bettinelli discuss cloning, what it is and isn't, its suprisingly long history, the moral implications, and future prospects. The post MYS013: The Mystery of Cloning appeared first on SQPN.com. During the Cold War, the Soviet Union considered and even built doomsday systems that could launch nuclear strikes even if their leaders were dead. 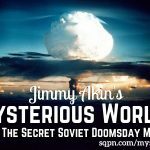 Jimmy Akin and Dom Bettinelli discuss the theoretical and actual doomsday devices as well as their practicality and morality. The post MYS012: The Secret Soviet Doomsday Machine appeared first on SQPN.com. What or who is the Antichrist? Is he alive today, was he an historical figure, or perhaps he's yet to be born? Does he signal the end of the world? 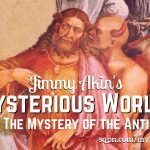 Jimmy Akin and Dom Bettinelli tackle the mystery of the Antichrist, what the Bible says, and what the Church says. The post MYS011: The Mystery of the Antichrist appeared first on SQPN.com. MYS010: Where Are All the Aliens? Across billions of stars and billions of years, logic says there'd be at least one alien species advanced enough to be noticed. Hence Enrico Fermi's famous paradox: Where are the aliens? 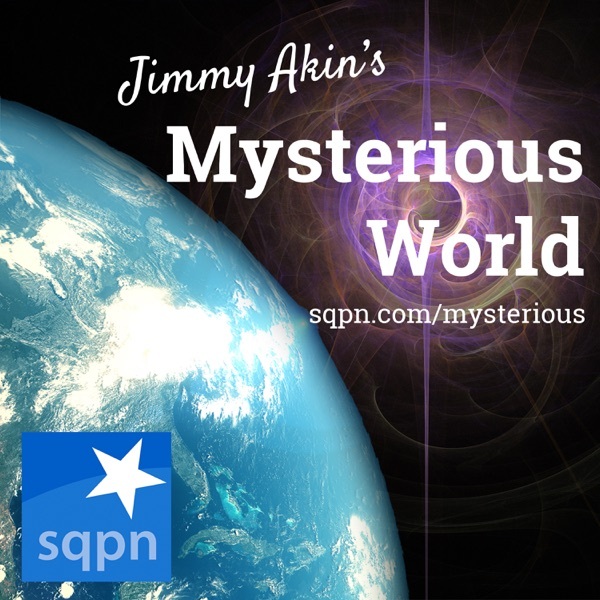 Jimmy Akin and Dom Bettinelli discuss the mystery of a universe in which we're seemingly alone. The post MYS010: Where Are All the Aliens? appeared first on SQPN.com. Where do the Dead Sea Scrolls come from and do they contain secret knowledge about Jesus? 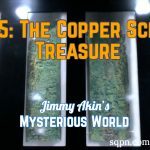 Jimmy Akin and Dom Bettinelli discuss the claims about the ancient scrolls and what we know about them, as well as their personal experiences. The post MYS009: The Dead Sea Scrolls Mystery appeared first on SQPN.com. 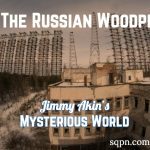 Jimmy Akin and Dom Bettinelli discuss the mystery surrounding the 1908 Tunguska incident in Siberia. What flattened 770 square miles of forest without leaving a crater? Aliens, meteor, a mini-black hole? The post MYS008: Tunguska appeared first on SQPN.com. 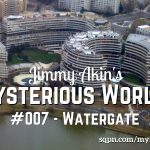 Jimmy Akin and Dom Bettinelli tackle the political mystery of Watergate, including the first question: What did Nixon know and when did he know it? Also, who was really behind the break-in and what were they after and did Woodward and Bernstein really bring down the president? The post MYS007: Watergate appeared first on SQPN.com. 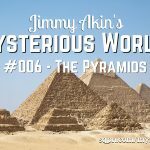 Jimmy Akin and Dom Bettinelli explore the mysteries of the Pyramids of Egypt, including the claims of mystical energies, extraterrestrial building help, and prophecies encoded in them. But what do history, reason, and faith have to say? The post MYS006: The Pyramids of Egypt appeared first on SQPN.com. 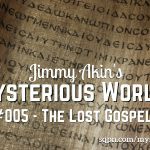 Jimmy Akin and Dom Bettinelli discuss the claims and counter-claims about the so-called Lost Gospels from both the faith and reason perspectives. Do they tell a suppressed or untold story about Jesus Christ, are they the ravings of lunatics, or something in between? The post MYS005: The Lost Gospels appeared first on SQPN.com. 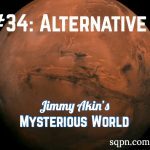 Jimmy Akin and Dom Bettinelli explore the mystery surrounding Area 51, the claims that the government is hiding alien spacecraft there, the earthly secret programs to develop specialized aircraft, and the secrecy surrounding the existence of the facility itself. The post MYS004: Area 51 appeared first on SQPN.com. Jimmy Akin and Dom Bettinelli explore the claims and counter-claims about Bigfoot, the mysterious tall, hairy biped supposedly indigenous to North America. Could there be an undiscovered species of primate out in the woods? The post MYS003: Bigfoot appeared first on SQPN.com. 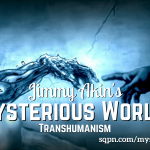 Jimmy Akin and Dom Bettinelli discuss the mysteries of Transhumanism, both its promises and dangers, including how the Church sees this effort to perfect humanity through science. The post MYS002: Transhumanism appeared first on SQPN.com. Every week, Jimmy Akin and Dom Bettinelli explore the weird, the strange, and the unusual from the perspectives of faith and reason. 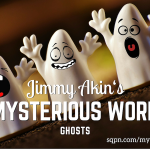 In this first episode, Jimmy and Dom talk about ghosts, what they could be, how they fit in a Catholic understanding of the world, and what a rational mind says about them. The post MYS001: Ghosts appeared first on SQPN.com.